After surviving the preclinical years by memorizing pathways, pathogens, and pathologies, conquering Step 1, and completing your clinical rotations, you’re finally to a point where the fruits of your medical school labor will pay off – applying for residency. You may remember applying to medical school through the AMCAS system. The residency application system uses a similar layout and is equally as important. ERAS has a number of specific sections that are discussed in detail below. 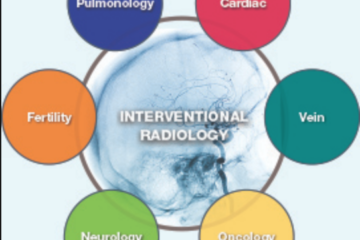 The focus of this article is to help guide American allopathic medical students applying to ACGME-accredited diagnostic and interventional radiology residency programs. The application process is different for other candidates and these special situations will not be covered in detail, namely: international medical graduates, military applicants, couples matching, and applying as a post-graduate candidate (i.e., applying as a physician). If you’re reading this early in your medical school career, take note of the metrics that you will be able to enter and plan your extracurricular activities accordingly. Spring of Third Year. In 2014, selected sections of ERAS opened for allopathic medical students in April. Whenever you are granted access, you should explore the system. If you have an up-to-date CV, you can easily transfer your extracurricular information into the appropriate ERAS sections (discussed below). Spring to September. It is advisable to make a CV as soon as possible to allow easy transfer to ERAS. In fact, making a CV early in your medical school career (e.g., first, second, or early third year) will save you much time and hassle when it comes to the ERAs process. Creating a non-ERAS CV is important as the authors of your letters of recommendation will typically need your CV to write an effective letter. For a focused overview of when and how to ask for letters of recommendation, please see Alexandra Jo’s focused article here. Do not wait until the last minute to ask for your letters. September 15th. At the time of writing, the earliest date to apply to ACGME-accredited programs is September 15. Some residency websites may have earlier dates listed, but these are incorrect (these programs have not updated the application date since the first day to submit changed from September 1st to September 15th). It is advisable to submit your application on this day. Programs state due dates online, but applying later may give the impression that they weren’t one of your initial choices. Once your application is submitted, the bulk of your information cannot be edited or updated. You are still allowed to: 1) edit personal statements and assign/reassign specific drafts to individual programs, 2) assign letter of recommendation authors to different programs, and 3) apply to other programs (again, not advisable). There are the following major tabs in the ERAS website: 1) Dashboard, 2) Application, 3) Documents, and 4) Programs. This article will focus primarily on selected portions of the ‘Applications’ tab. This tab is essentially your CV portion on ERAS. Once this is submitted to residency programs, you will not be able to update it. Home. Here you can view various forms of your application as a whole. General. This section consists of mostly contact and other self-explanatory basic information. Two items of note in this section include: 1) signifying if you plan to participate in couples match and 2) signify if you are a member of the Alpha Omega Alpha Medical Honor Society (there’s another section that will ask this same question again). Education and Medical Education. Undergrad, graduate, and medical school attended. Training. Applicable only if you are applying as a physician. An important section that will take up the bulk of most students’ applications. Here you enter your medical school experiences in three categories: 1) work experience, 2) volunteer experience, and 3) research experience. In each section, you enter the inclusive dates, location, supervisor (for research experiences), free textbox description, and reason for leaving (if applicable). For work experiences, enter noteworthy jobs you had during medical school or if you had a career before entering medical school. You do not need to have a comprehensive list of jobs that aren’t relevant to residency (e.g., part-time odd jobs in undergrad or high school). Volunteer experiences include leadership or officer positions in interest groups, community volunteer work, and other experiences that do not fit elsewhere in your application. Finally, in research experiences you can list the projects you were involved in and your specific duties for the project. This is a good place to expand upon projects that have not come to fruition in terms of a publication or presentation. Licensure Information. Applicable only if you were convicted of a crime in the United States or are applying as a physician. Medical Licenses. Applicable only if you are applying as a physician. Self-identification. Optional section if you wish to identify your ethnicity. Again, not required – “prefer not to say” is a viable option. Language fluency. Here you identify which languages you speak and how proficient you are in those languages. Be honest and don’t exaggerate. I’ve heard a story of an American medical student who majored in a foreign language in undergrad, listed fluency in that language and, on one of their interviews, they were interviewed entirely in that foreign language. Do you require any special accommodations? (Yes/No). If so, you are asked to explain in a free textbox. Was your medical training extended or interrupted? (Yes/No). If so, you are asked to explain in a free textbox. Hobbies and Interests. Free textbox area where you can shine some light on who you are and what you like to do. Everyone reads (or claims they do), exercises, and likes music but, within socially acceptable norms, expand upon these (e.g., reading mystery novels, triathlon training, playing piano, etc.). Medical School Awards. Free textbox where you enter which honors, awards, or scholarships you received in medical school. Include those from any and every level – institutional, national, or organizational. 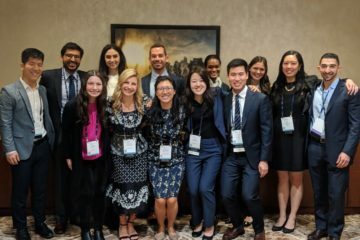 Please see some of the awards that the SIR has available for medical students, including travel scholarships to the annual SIR meeting, the SIR Medical Student Research Grant, and the Constantin Cope Medical Student SIR Annual Scientific Meeting Research Award. Other Awards/Accomplishments. This is a free textbox where you can enter awards and such that do not fall into the category of ‘medical school awards.’ Did you win a marathon or 5K? Play college sports? Membership in Honorary/Professional Societies. In this section there will be a yes/no checkbox to indicate whether you are or are not a member of the Alpha Omega Alpha Medical Honor Society at the time of your application (there is also an option indicating that elections are held after the residency application deadline of your senior year). Apart from the checkbox, there will be a textbox space to where you will be able to list other honorary/professional societies you are a part of (e.g., SIR, RSNA, AMA, etc.). Note that if you are applying to preliminary intern positions (e.g., medicine, surgery, or transitional), the person reading your application may not know what “SIR” stands for; as such it is beneficial to spell out the full organizations’ names (e.g., Society of Interventional Radiology, Radiological Society of North America, American Medical Association, etc.). This section has a relatively small character limit – you may not be able to list all of your organizations. As such, limit this section to simply listing the names of your most important organizations. If you had a particular and extensive role in one of these organizations (e.g., you held a position at national or regional level), you can expand upon this in the ‘Experience’ section as a volunteer experience. USMLE Transcript. Here you simply authorize the release of your scores to your assigned programs. After paying a one-time fee, the transcript(s) will be released by the NBME; you do not and cannot upload your own transcripts. 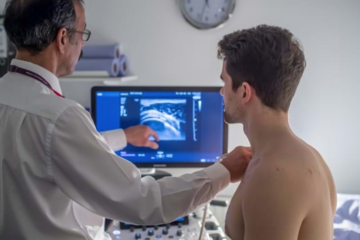 Allopathic medical students are often faced with the issue of when to take Step 2 – before or after the point where a good score will potentially help you secure interviews (i.e., sooner vs. later). Faced with this decision, you must ask yourself if you have enough time to dedicate to studying to make a desirable score. Remember, Step 2 averages are higher – at the time of writing the Step 1 average for U.S. seniors that matched into radiology is 241 and the Step 2 average is 249. Different programs may put different weights on Step 2 scores. Typically your Step 1 score is more important. If your Step 1 score is not as high as you would like it, then it’s advisable to take dedicated time to study for Step 2 and improve your score to get better chances at getting interviews. COMLEX-USA Transcript. Applicable if you are applying as an osteopathic medical student. Personal Statements. Please see the dedicated personal statement section below. Letters of Recommendation. As mentioned earlier, SIR MSC’s Alexandra Jo wrote an excellent article on getting great letters of recommendation, which can be found here. Note that you can assign different letters to different programs. Here you choose and can see the list of programs you choose to apply for. There are many factors choosing where to apply, including location, prestige, and family. Decide what your focus is and apply accordingly. The anecdotal advice for medical students applying to residency is the rule of thirds: 1) one-third you would be ecstatic to match at (these may be the most prestigious programs or your top choices), 2) one-third you would be happy with, and 3) one-third would be places that would most likely rank you highly based on your credentials. Choosing how many programs to apply at depends on your credentials as an applicant: USMLE Step 1 score compared to the radiology average (241 for matched U.S. seniors in the 2014 match), class rank, and abundance/paucity of extracurricular accomplishments (publications, presentations, leadership, etc.). Ultimately, you should ask your faculty advisor how many programs to apply to. Your medical school handles uploading your transcript. If you failed or dropped a class, you may want to address this in your personal statement or your dean’s MSPE may address this. If this is your situation, talk to your dean that writes your MSPE to see if they address it in their letter and talk to your advisor to see if this should be addressed in your personal statement. Your school may cater an ERAS photo-taking session for you. Dress professionally. Your designated dean’s office will upload the photo for you (i.e., you cannot upload it). Note that programs will only see your photo if they grant you an interview. You can also choose not to submit or assign your photo to selected (or all) programs. Medical Student Performance Evaluation. The Medical Student Performance Evaluation (MSPE), formerly know as the ‘Dean’s Letter’, is a standardized letter usually written by Associate Dean of Student Affairs (or its equivalent at your school) which outlines several standardized metrics of your medical school performance, such as attending/resident clerkship comments, class rank, USMLE scores, scores on shelf exams, etc. Of note, negative comments from your clerkships may be included in this letter, omitting comments is at the discretion of the MSPE author. Once this letter is drafted and uploaded, you will not be able to see it on ERAS. The only case you would be able to see this letter is if the dean allowed you to and this is typically not the case. The MSPE also serves to explain gaps in your medical education – did you miss a year for personal reason, take an elective research year, fail a course, have a breech of professionalism, etc. Writing a personal statement is one of the hardest things you will do in medical school. Its purpose is to communicate relevant your experiences and details not readily available in other sections of your ERAS application. Similar to a college admission essay, you’re trying to make yourself stand out but avoid going ‘over-the-top.’ A popular anecdotal observation about medical student personal statements is that they fall into three categories: 1) 10% help you secure an interview, 2) 80% will not significantly strengthen nor deter your application, and 3) 10% may hinder your chances of getting an interview. Of course, interpretations of personal statements are subjective. Your goal when writing a personal statement is to fall into the top 90%. Start with a short life or medical school story/snippet related what drew you to IR (optional but I’ve seen many personal statements start this way). General statements about IR/why you are interested in IR. What unique attributes set you apart from other applicants? What can you contribute to the residency program during your training? If feasible, try to draw on past experiences and how they translate into your skills and potential. Try not to repeat things that will be clearly communicate by your CV/ERAS application unless you are using them to illustrate a point. Have several people read and critique your personal statement and let the final edits rest with your faculty advisor. Classmates, residents, faculty, parents, and significant others are all good choices to proofread your personal statement. While it may be out of your comfort zone to share your personal statement with your medical school classmates, realize they are going (or have gone) through the same draft-and-revision process as you. They will likely have valuable insights to contribute. In the final draft, the grammar, syntax, and spelling must be flawless – a “there” instead of a “their” or an “it’s” instead of an “its” may reflect poorly with program directors. Again, your faculty advisor should do the final proofing. For those that are participating in the couple’s match, mention this in some form in your personal statement. There is a checkbox for this elsewhere on ERAS but program directors or anyone reading your personal statement in passing should be cognizant of this. Students often wonder if they should write different personal statements for different programs. This is not advisable. Saying you like a particular program because of whatever reasoning is unlikely to improve your chances of getting an interview. An exception may be if you have strong ties to a region (e.g., your significant other is ahead of you in their medical education and is a current resident at a given institution). It is important to make your application visually appealing. Free textbox sections of ERAS do not allow hard returns (instead of a new line it gives an extra space). Given this, to separate items where you would typically start a new line, you will have to separate them by periods, semicolons, or, my recommendation, bullets (•). To insert a bullet, you will have to copy it from your word processor and paste it into the ERAS site. If you copy a bulleted list from a word process it•will•appear•like•this•in•ERAS. Timing out. The ERAS program frequently times out. Therefore, it is recommended to type in a word processor and paste this into ERAS. Spellcheck. Although your internet browser may function as a spell-checker on the ERAS page, ERAS itself does not have this function. Given this, it is advisable to use a word processor when drafting free textbox portions of ERAS. No Updates to Application after Initial Submission. As noted previously, after the initial submission you cannot update or change anything in the ‘Application’ section (e.g., submitted or accepted publications/presentations, new awards, etc.). If you’re in the situation where you have a manuscripts that gets accepted for publication or other accomplishments that you believe will significantly help your chances of getting an interview, you can email the program coordinator inform them of this update to your application. Again, only do this if you think it will significantly help your application. More likely than not, it will be overlooked. Note that if you are granted an interview, many programs will let you bring your own CV. In closing, hopefully this article gives some insights into navigating ERAS. While the residency application process can be daunting, let this short portion of your medical career be enjoyable. Remember the joy that came with acceptance to medical school. The ultimate goal of becoming a physician is right around the corner and that same joy will make its return come Match Day.